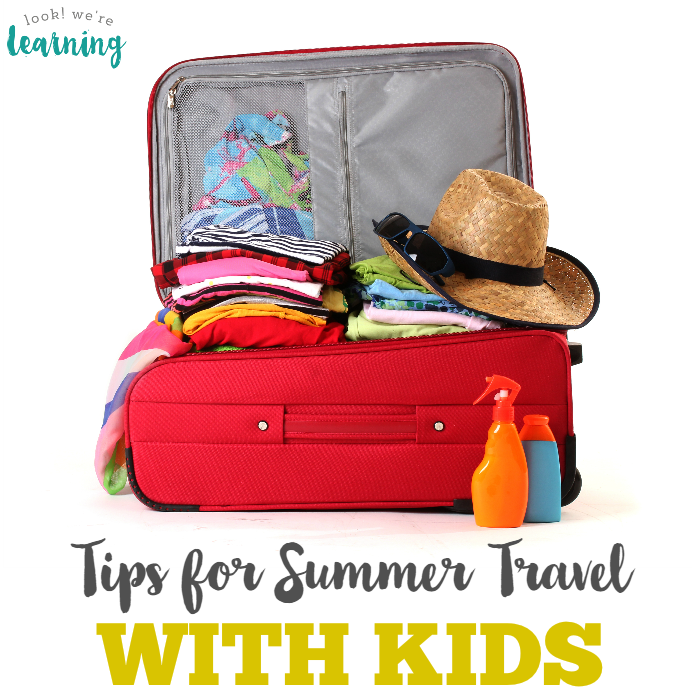 Tips for Summer Travel with Kids - Look! We're Learning! It’s almost summertime and a lot of families are getting ready for their annual vacation. 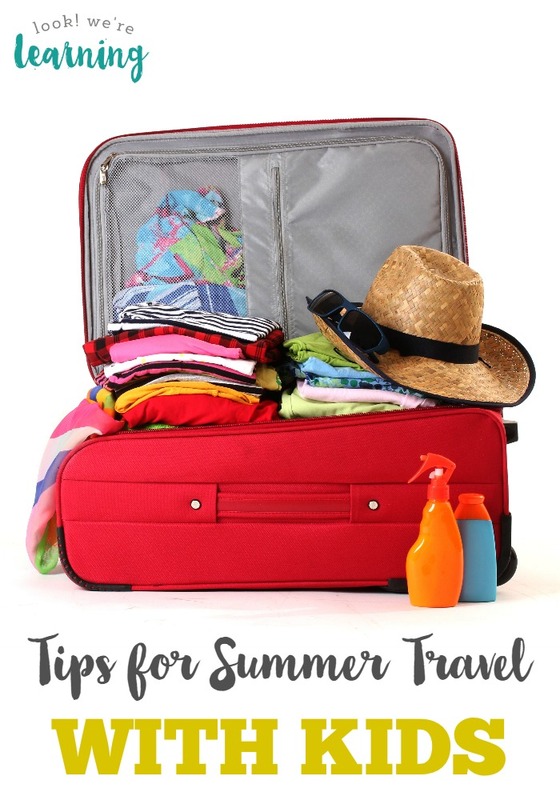 We’ve gotten a chance to go away for the last few summers and, along the way, I’ve picked up a few traveling tips for summer travel with kids that I thought I’d share with you all this morning. Bear in mind – these are just based on our personal experiences. But I have a hunch that most of these will apply to all parents when traveling with kids. 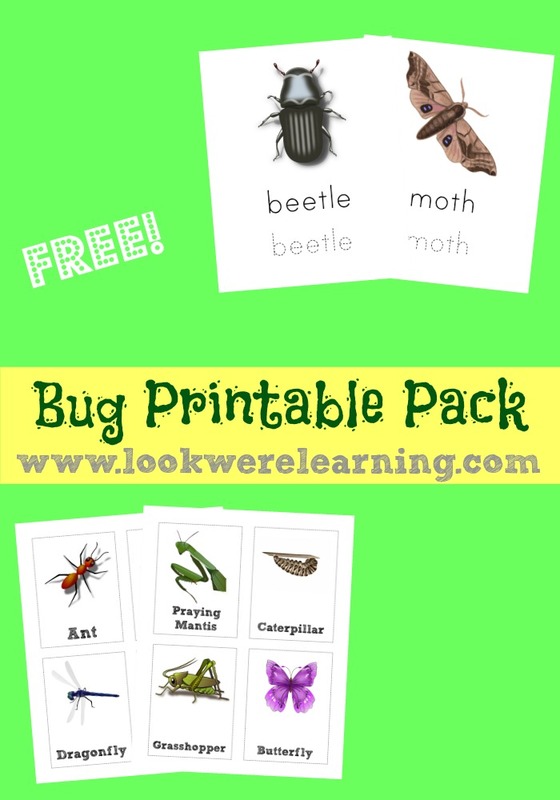 Want some awesome summer crafts to try with the family? Don’t miss my list of 50 summer crafts for kids to make! Bring more of everything than you think you need. You will run out of something halfway through the trip and I promise it will be the thing you thought you’d need the least of. We pack twice the amount of kids’ clothes we think they’ll use. They always end up needing it all somehow. Add an extra half hour of travel time for every two hours you spend on the road. Remember when you and your spouse could get to your destination with just one or two stops along the way? Those days are long gone. Whenever Google Maps tells us we can get to our destination in six hours, we add at least an hour and a half to that for stops. Keep plastic shopping bags and wet wipes in your vehicle. You’ll be glad you did. Trust me. Tell the hotel staff that you have more than two kids. One of the problems you run into when you have a large family is that most hotels only allow you to have two kids in the room. I know some families just book the room anyway and double up the kids in the bed, but I’ve found it best to just tell the staff that we have four children. They’ve often given us discounts on suites or larger rooms that had more space and better facilities. Pack jackets for the kids, even when it’s blazingly hot outside. They’ll end up feeling cold somewhere – in a store, in the car, in a movie theater, or a restaurant. Pick a hotel room with a full kitchen and stop at the grocery store right after you check in. Occasionally, we’ve found that eating out ends up costing more than the hotel room, especially if we stay out of town for a week. We wised up a few years ago and started booking rooms that have full kitchens. Right after we get to the hotel, we head out to the nearest grocery store and stock up on meals that we can cook quickly. No matter how fun the trip is, expect the children to complain at least once per day. This is something I didn’t pick up on until our second family vacation. We had taken the time to put together an itinerary that we were sure the kids would love. We even booked a room that had a themed kids’ suite with bunkbeds. They still found a reason to be unhappy with it. (I think it was that the room wasn’t big enough to play in or something.) But that’s just kids being kids. The fun they have later usually makes up for the complaining early on. Do you have any tips for summer travel with kids you’d like to share? Let us hear them in the comments! Want more ideas for summer fun with the family? 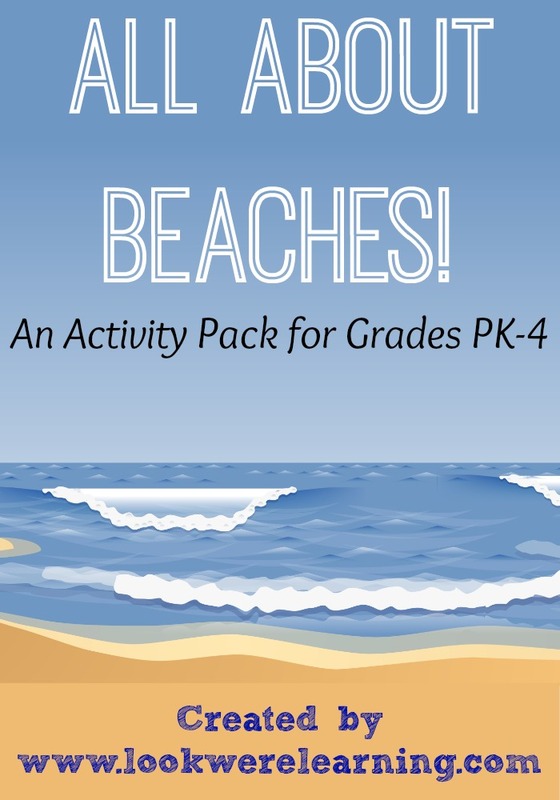 Follow my Summer Activities for Kids board on Pinterest! 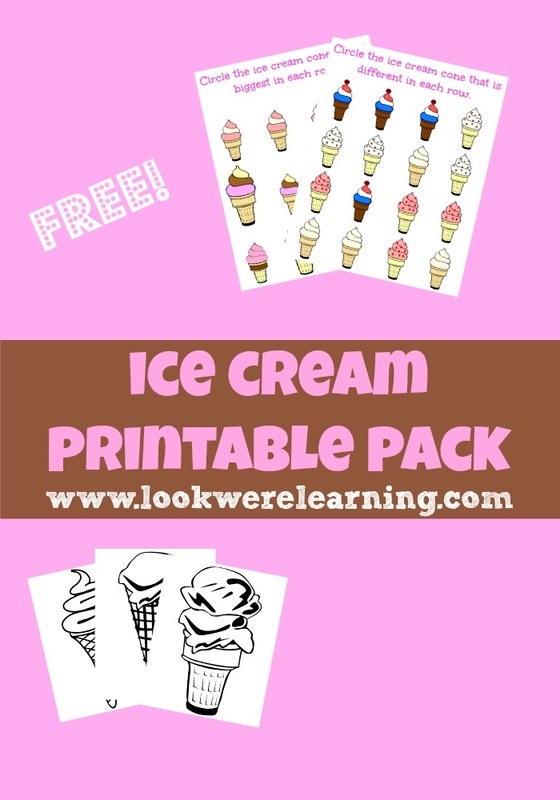 And if you need some learning activities to keep your kids happy on the road, check out some of our printables! I agree – pack jackets even when it’s blazing hot! We’ve made that mistake before. Great list! Expect the kids to complain ONCE a day? LOL. You must have some really well behaved kids. I on the other hand am still recovering from our last trip. Saw you on the Hip Homeschool Hop. LOL! The phrase from the article is “AT LEAST once per day”….You’re absolutely right. Some days it can go on and on. 🙂 Thanks for visiting! That’s a great tip! Definitely adding that to my ideas for future trips.